Remove the tofu from the packaging and drain it thoroughly. Then blot it with towels until dry. Next, crumble it into a bowl and lightly blot up any additional moisture. Then sprinkle it lightly with the garlic salt and set it aside. Next thoroughly rinse the green onion and dry it. Then dice both the white and green parts and set them aside. 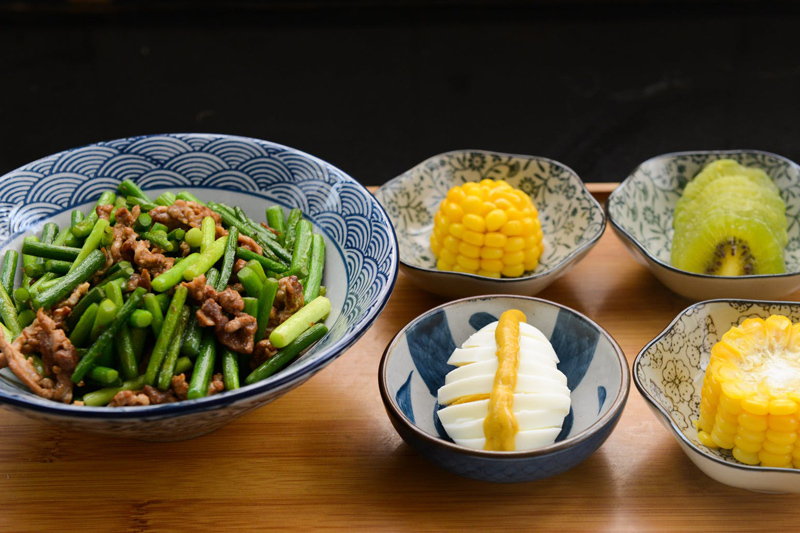 Peel the ginger and then mince it and set it aside with the green onion. Shuck the corn making sure to remove all of the silk. Then rinse it under cold water and dry thoroughly. Then cut off the kernels and place them in a bowl. Next rinse and dry the red bell pepper. Then remove and discard the stem, seeds, and inner white meat. Then dice the rest of the pepper and set it aside with the corn. Prepare the lettuce leaves by rinsing them under cold running water and drying them thoroughly. Place them in the refrigerator until it is time to serve. Start cooking the filling by heating a non-stick wok or large pan on medium high. Then add just one tablespoon of the peanut oil and let it get hot. When the oil is hot add the tofu and stir-fry it for about 4 minutes, or until it lightly browns. Then remove it from the wok and place it on a plate. Next add the remaining tablespoon of peanut oil and let it get hot on high heat. Once the oil is hot add the green onion and ginger and stir-fry them for about 30 seconds. Then add the corn and bell pepper and stir-fry for another minute. Then return the tofu to the wok and stir in the soy sauce, and hot chili garlic sauce. Cook until most of the moisture is absorbed. Then remove from the heat and serve alongside the prepared lettuce leaves. This makes about 4 servings and is delicious served alongside vegetable fried rice and with hoisin sauce and mustard sauce as condiments, enjoy.